Since tomorrow is the first day of November, I suppose it's now acceptable for me to share a birthday wishlist! I'll be 29 on November 30th (we're only 1 year away from my champagne birthday...) and plan to celebrate with my parents at The Polo Bar (it'll be a rager, no doubt). When I started this blog I was a ripe 23, and it's funny to look back at my previous birthday wish lists. I didn't do one for my 24th birthday and just simply acknowledged my 25th, but there were wish lists for 26, 27, and 28. -I'm so looking forward to the release of Domino's new book. If it is anything like their previous one, it's going to be a cult-favorite and is definitely worth the preorder. 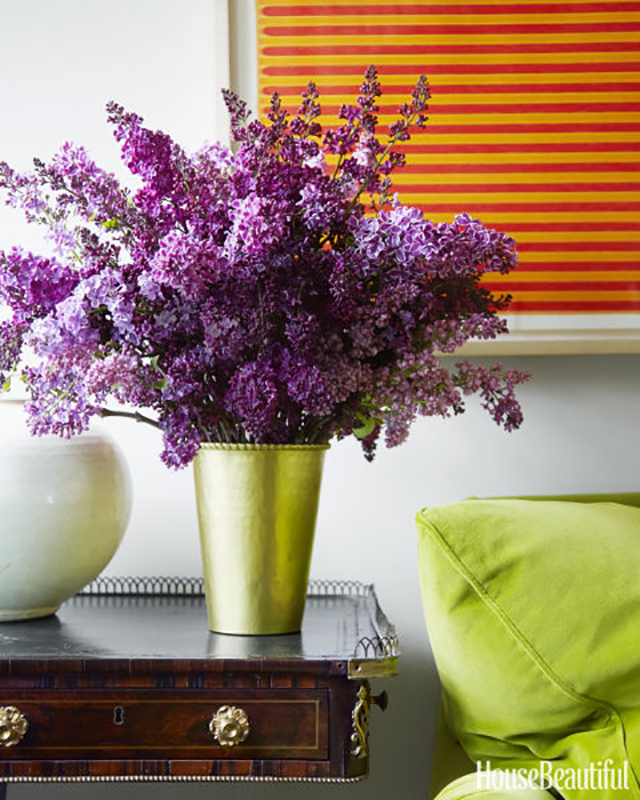 -Aerin Lauder has the midas touch- everything she creates turns to gold, including her line of scents and hand creams (no pun intended). I didn't consider myself to be a lotion snob until I found her products, and couldn't bring myself to switch back to my usual drugstore Aveeno. The lotions are incredibly rich and soothing, and her perfumes are light and airy. My favorite scent is the tangier vanille (it smells similar to Prada's Candy perfume)! -Everyone's talking about the Amazon Echo and I'd love a new speaker to play my music through while getting ready. "Alexa", similar to Siri on the iPhone, can report traffic, weather, news, call you an Uber, and even order you a pizza. Happy Halloween! Did I miss anything you are loving right now? Let me know via Twitter @peakoftreschic. Happy Friday! We are only a few short days away from my favorite month of all... November! Besides the fact that it's my birthday month, there's also an OU game every weekend, SNL's election skits are getting funnier by the week, the weather is crisp, and Thanksgiving (and Christmas) are right around the corner. What's not to love about this time of year?! The fall is speeding by and I can honestly say I'm enjoying every minute of it. My one fall necessity is this candle. 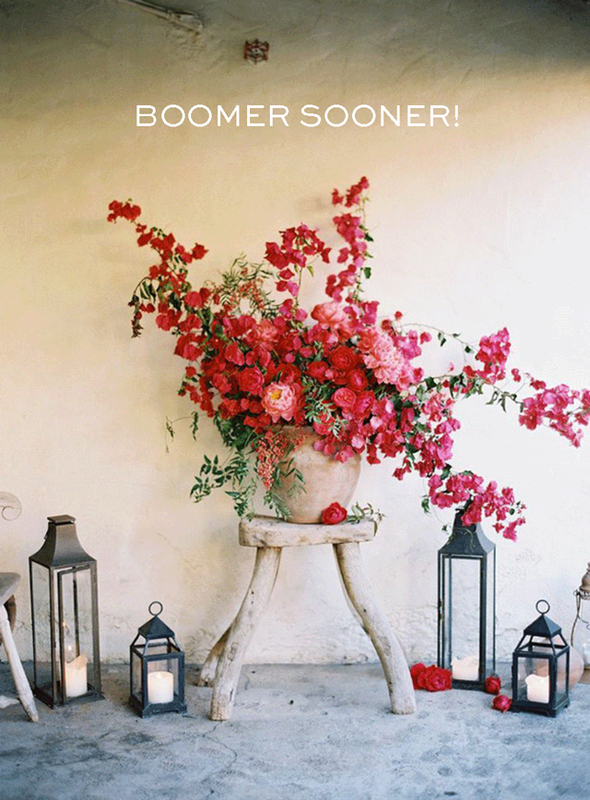 -When I go back to OKC to visit my family, I always see sought-after facialist Patsy Hooten at Three Graces Spa. She's the best esthetician I've found in OK, hands down. I was thrilled when she told me she started selling her own skin care line as I've tried several of the products and love them. -I'm heading to the Met Apollo Circle Benefit in a few weeks and am thinking of grabbing this inexpensive cocktail dress for the event, along with this clutch (or this one) and these heels. 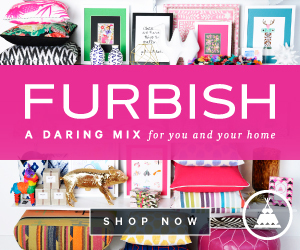 -Up to 40% off furniture, rugs + more at West Elm.com right now. I'm lusting after this. 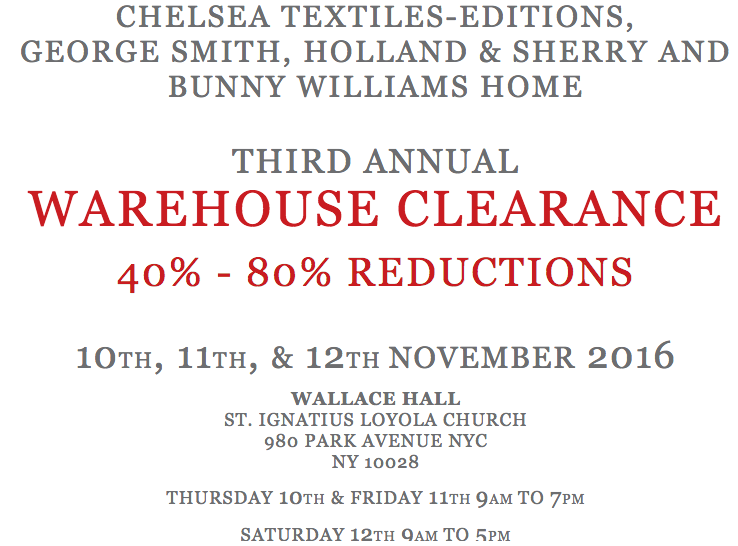 -The Chelsea Textiles Warehouse Clearance sale (if you live in NY or will be visiting soon)! 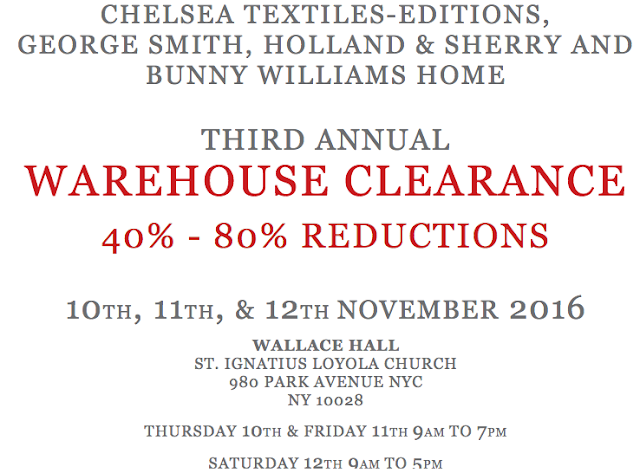 A few of my favorite fabric showrooms have teamed up again for their annual warehouse sale, scheduled for November 10th, 11th, and 12th! 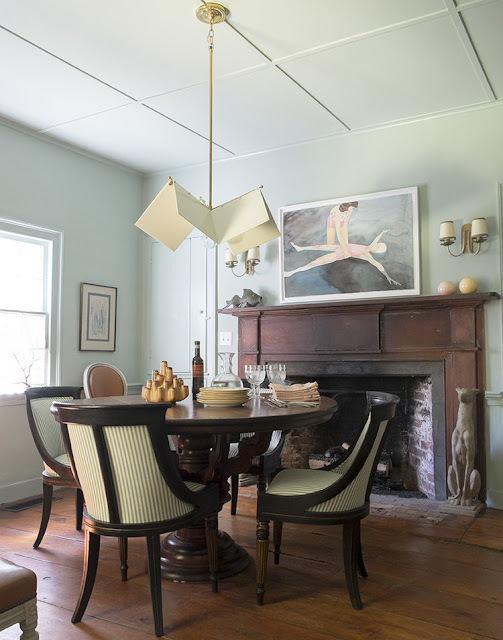 Today I am thrilled to share the story and work of decorator Michelle Smith. I always love to hear how people got their start in design. 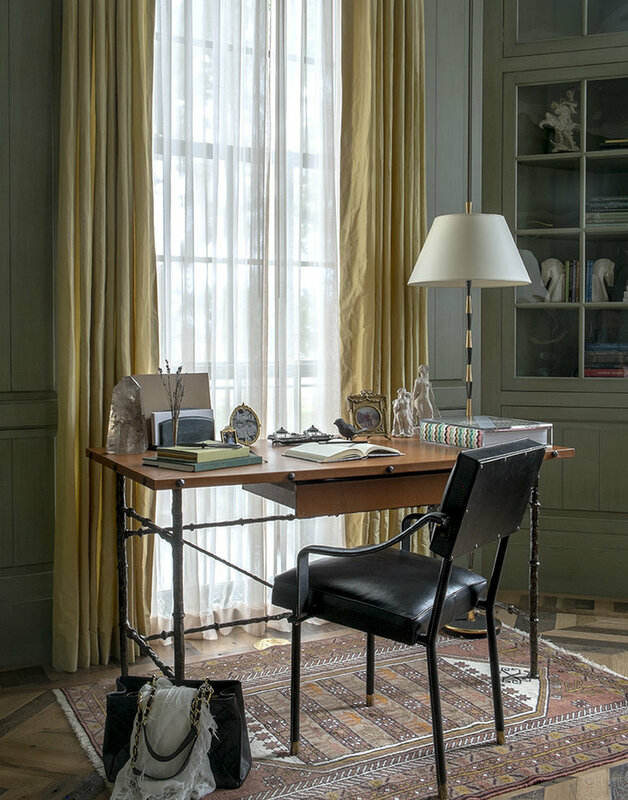 More often than not, he or she recognized his or her creativity at an early age, had an affinity or curiosity for furniture and period styles, and wholeheartedly pursued an interiors career. However, I am comforted by stories of those who went in to a different field, only to realize later on in life that their true calling was design (because that's what happened to me)! Michelle Smith originally attended school to become a lawyer, and practiced law here in New York. It wasn't until she was halfway through getting her Masters in Tax Law at NYU that she decided to jump ship and start as a design intern for Daniel Romualdez. Despite a delayed start in the industry, Michelle has always been interested in design; particularly in the renovation process. 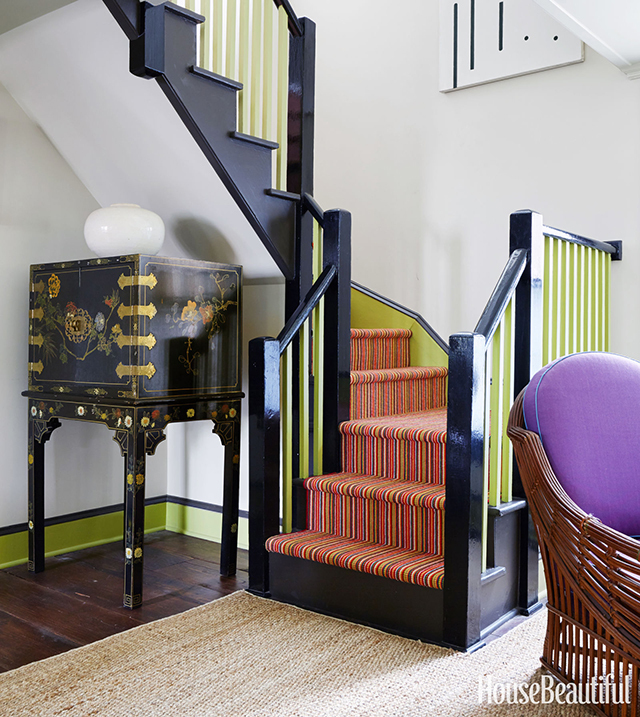 She grew up in Louisiana, where her mother would renovate and spruce up houses as a pastime. Michelle followed along intently and grew to love the process of transforming a home. 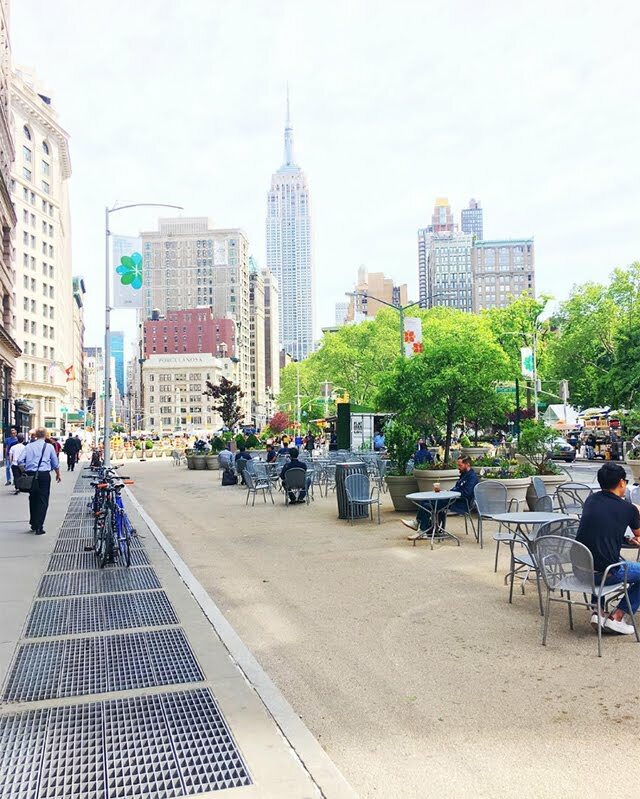 In 2009, while practicing law, Michelle purchased a 2 bedroom apartment in Greenwich Village that needed serious updates. She threw herself in to the renovation and the result was breathtaking. Soon, many of her friends (and even a partner at the law firm) were asking her to help them transform their own homes. 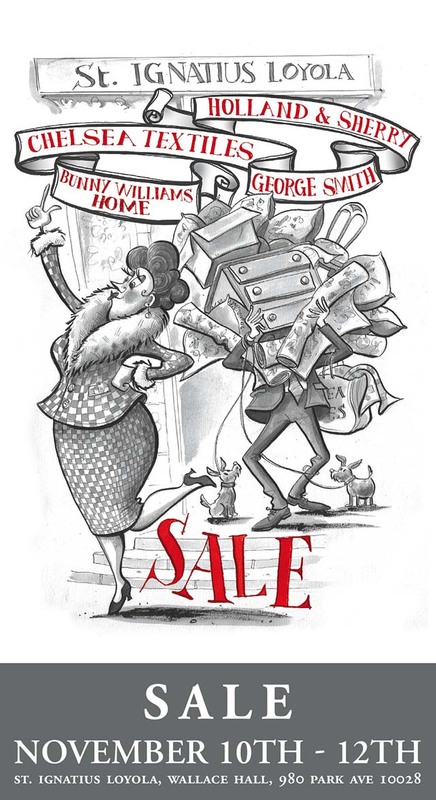 So, she decided to spend a few years training under an Architectural Digest Top 100 Firm and then struck out on her own, launching MRS Studio. 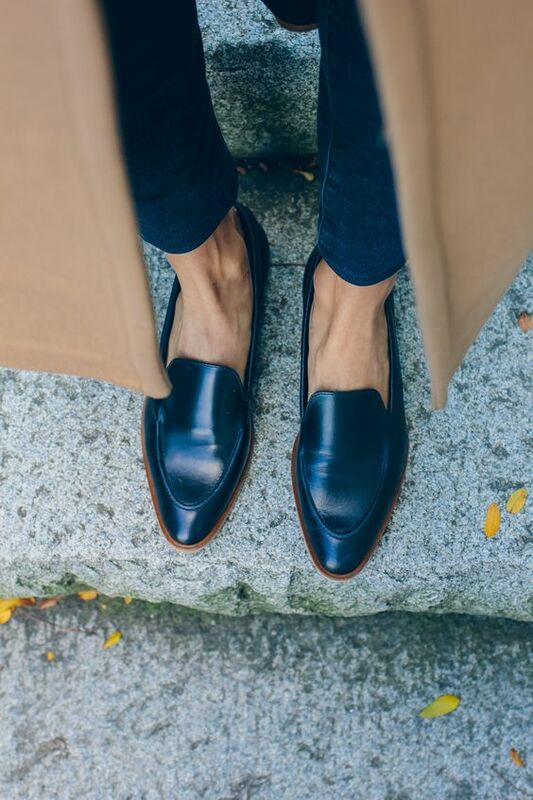 One trend I am happy to see still in style this fall are smoking slippers. 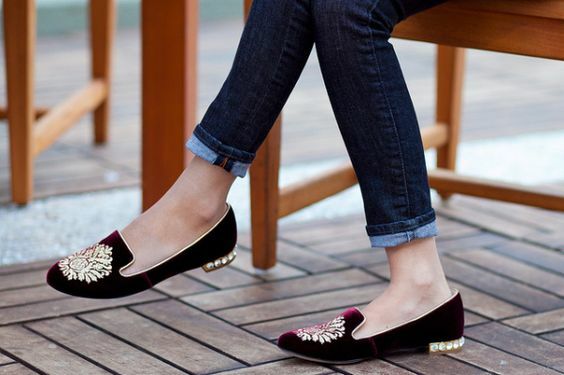 Comfortable, chic, and perfect for work or play, they can serve the role of "statement accessory" to any fall ensemble. 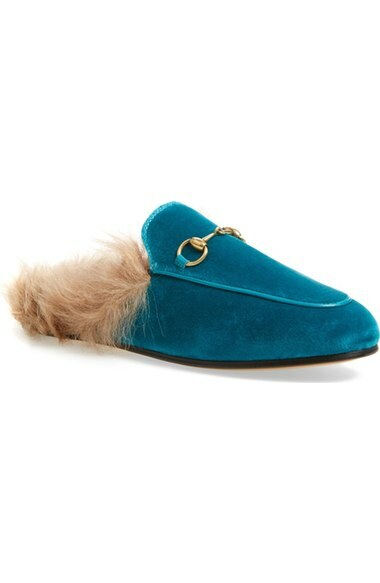 Turquoise suede, fur, and brass? 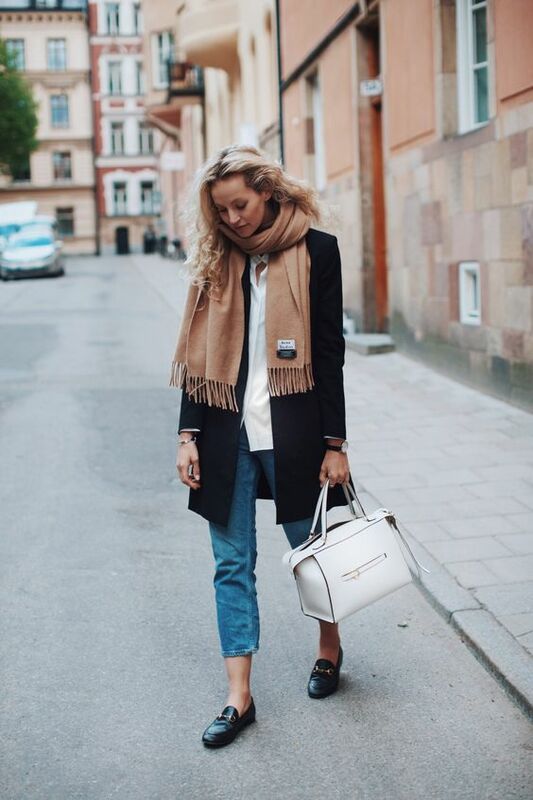 It looks like a house shoe but is chic enough to sport around the city. Reviewing the last 4 books I've read, they all center around one common theme: women! While I've always been an unabashed feminist, I'd like to think I'm a little too dignified to be grouped in with the easy reading, skim-the-surface chick lit crew. I'm most drawn to non-fiction, specifically biographies and memoirs, because they allow me to jump in to someone else's brain for a bit and see what life looks like from their vantage point. So today, I am sharing 6 books I've read/am reading/plan to read soon that are based on an individual's life and work and what they learned along the way. One of my former professors shared this title with me and I can't wait to dive in to the story. Lab Girl is about the life and work of scientist Hope Jahren, who has built 3 laboratories over the years where she studies the life of seeds, flowers, trees, and soil. The book also touches on the relationships she's formed over the years and the incredible experiences she's encountered living the life of a female scientist. My old boss Amanda gave me this book and I treasured reading every bit of it. I've always liked Drew Barrymore but I've never been any sort of super fan. Still, like most people, I am intrigued by her childhood and her sudden rise to fame and all the drama that came along with that new Hollywood life. I was surprised to find that many of the chapters made me tear up because of the purity and honesty in her writing. You truly feel that Drew is baring her soul in this book, and I loved hearing how she'd made peace with all the pain and hardship she's experienced. I also loved reading about her memories of being on various movie sets throughout the years. I always look up Rupi's instagram when I'm feeling wistful, or nostalgic, or pensive, or angry... and can't seem to adequately describe the specific feeling with my own words. Scrolling through her beautifully written essays and quotes always touch me in some unique way. 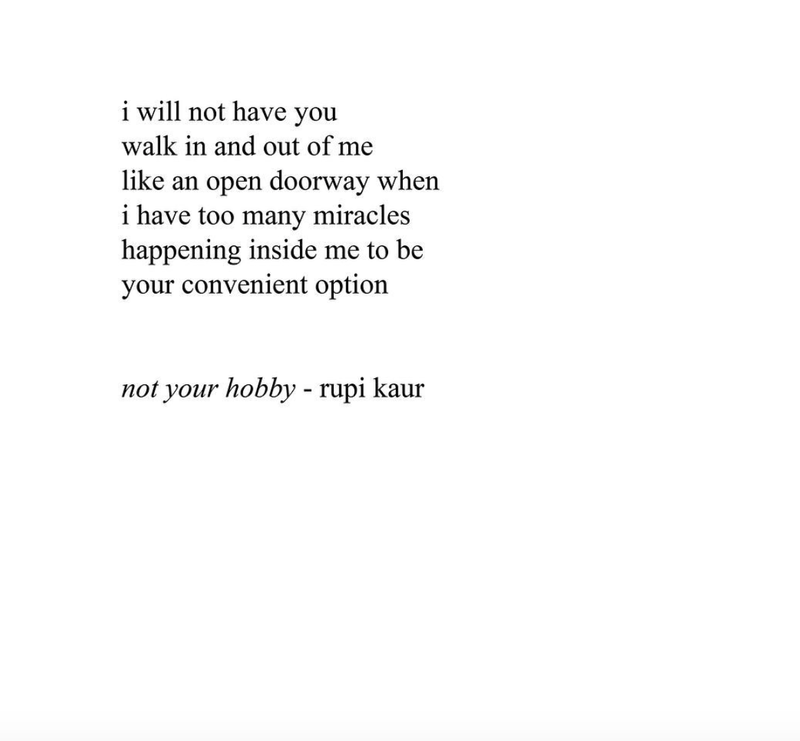 Rupi put together a collection of her writings in her new book, Milk and Honey, and I think it's a must-buy. I'm waiting for my copy to arrive now. As an avid Slim Aarons fan (two of his photographs currently hang in my bedroom), I was thrilled to see author Laura Hawk released a new coffee table book chock full of Slim's best female photographs. Many of the 200+ photos never been published in book format before. What's on your current reading list? Any great books I must know about? 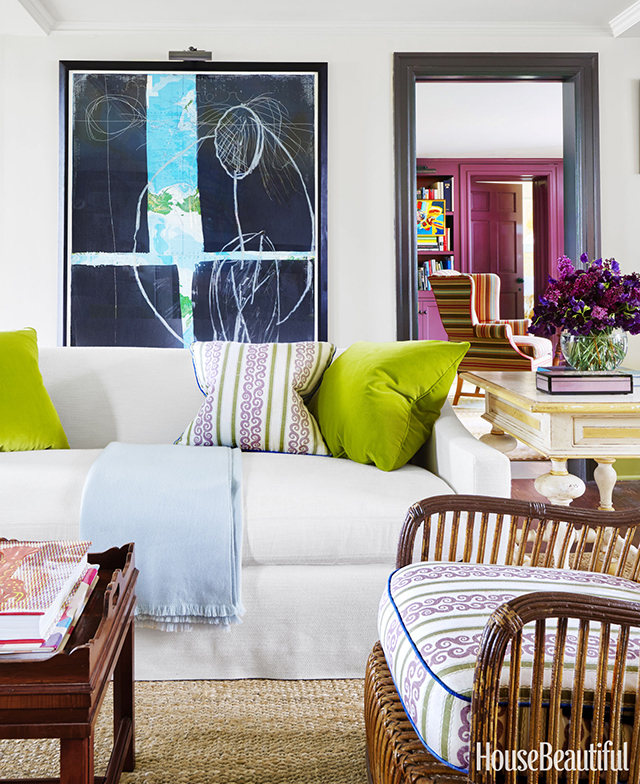 The family room is light and bright and carries in a bit of that beautiful green from the staircase. The sofa is upholstered in one of my favorite indoor/outdoor textiles- Perennials Nit Witty. The kitchen cabinetry is painted in a subtle white, allowing the glossy purple backsplash tiles and avocado green island to stand out. The red barstools are adorable, too! 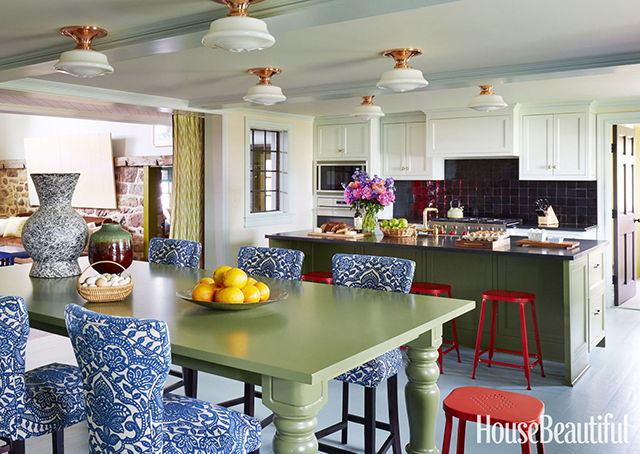 Jeffrey built the kitchen table at the same height as the island, so the two can be pushed together when entertaining. 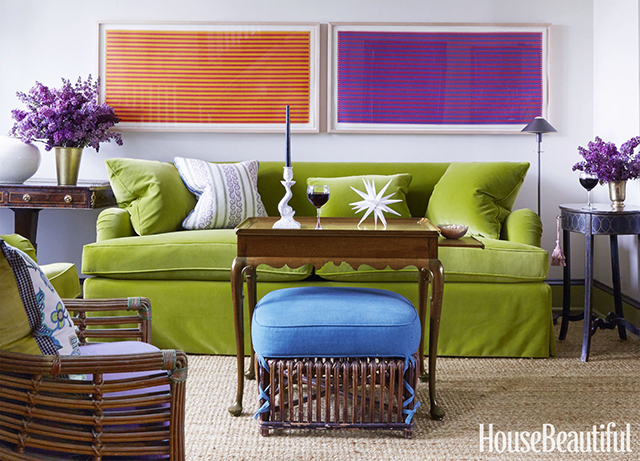 The bright green Bridgewater sofa is my favorite single piece of furniture in the home. The sofa is upholstered in Designer Guild’s Cassia fabric. I love the Dan Walsh pieces displayed above, too! The living room features double-height walls for a grand statement. Due to the size, Jeffrey created several seating arrangements to break up the space and make it feel less overwhelming. More pattern and color splash through the master bedroom. I love that Bilhuber chose an old-world gingham for the draperies. 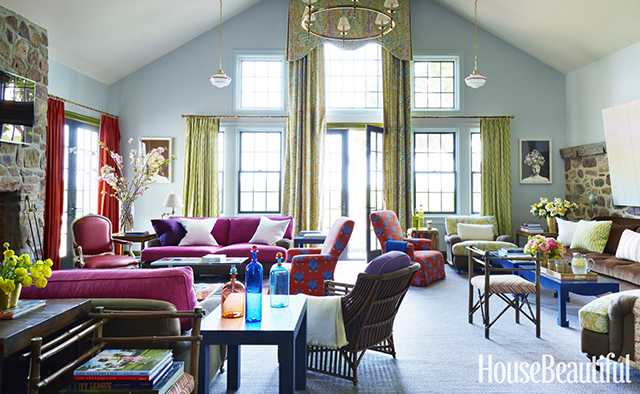 A touch of traditional in this otherwise bold and daring farmhouse is a welcomed touch. Read the complete story and interview here. How was your weekend? 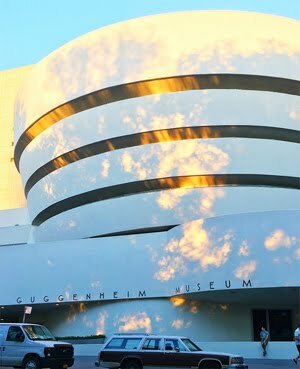 I got back to New York from spending a weekend in OKC last night and am still a little sleepy from an afternoon of travel. I'm still in the midst of my Mad Men binge and watched 3 episodes on the plane (downloading the episodes via iTunes before flying is a lifesaver, since streaming while in the air is impossible). The rest of the time I spent waiting around the airport I began reading this. Kimonos, anyone? I'm going through a phase where I want to add one to every outfit I don. 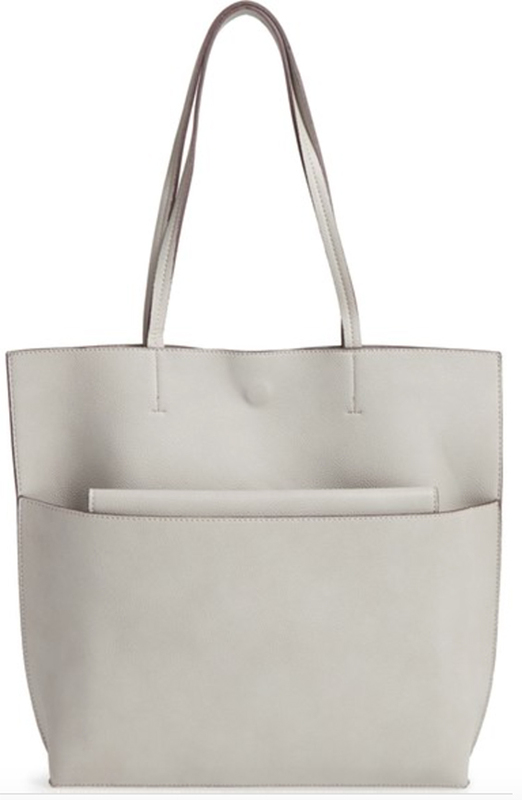 A cute crossbody handbag for under $50- sign me up. Urban Electric Co's lastest sconce design, the Maxine Swing-Arm Sconce- $1,022- comes in my favorite shade of turquoise. Although fall in New York is stunning, I'm still dealing with a summer Hamptons hangover. 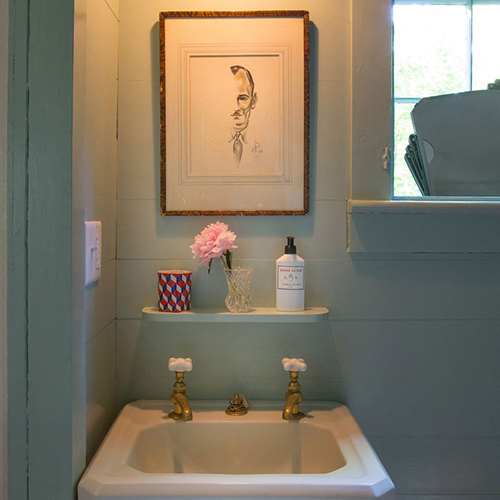 This Renovated Hamptons Shingle Cottage captures all I love about the area and is cleverly designed by one of my favorite NY interior designers- Jenny Wolf. Mrs. Howard is my favorite design shop in Atlanta, so I was thrilled to see pieces from the designer on One Kings Lane. I've got my eye on the versatile Oho Curule Bench. Mules are this season's smoking slipper, and this caramel suede pair would be chic for work or play- $119. 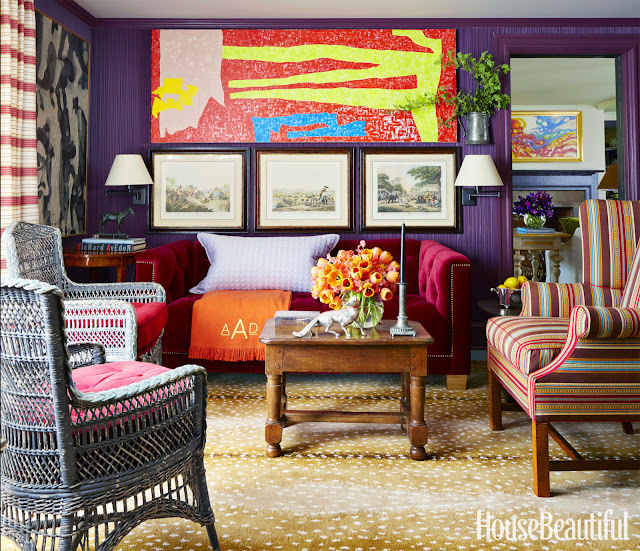 Loving this cheery living room by Meg Braff Designs. Happy Friday! I am in OKC this weekend to visit family and to see my OU Sooners play Kansas State. My best friend from undergrad is also coming in to town tonight and we are going to visit our favorite Norman, OK spots and watch the game tomorrow. -Undecided voter Ken Bone from this past Sunday's debate is my new hero. This week he reported that he is closer to deciding on the candidate he will vote for AND singlehandedly caused an Izod-red-sweater-buying frenzy. -I am not a good mother. 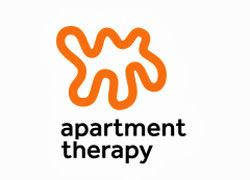 -Ashe + Leandro works their magic on a cool, Manhattan apartment. -I found this article about female friendships at work to be absolutely fascinating. -Only WISHING my dorm room 10 years ago had looked this chic. 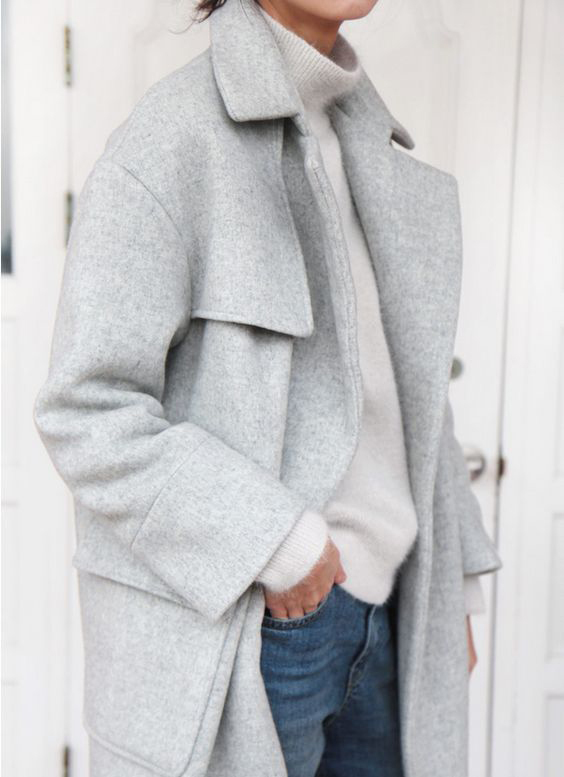 -Fall hats are my favorite seasonal accessory (as seen here), and this Italian wool-felt option is lovely. For those who hate winter as much as me, join me in buying this sweatshirt. -Michelle Obama is my personal hero. She launched her Let Girls Learn initiative and this 2 minute video makes me so proud to call her our First Lady. Any big plans this weekend? Any other OU fans out there? Whatever you do, I hope you enjoy a pretty, fall weekend. What's your take? 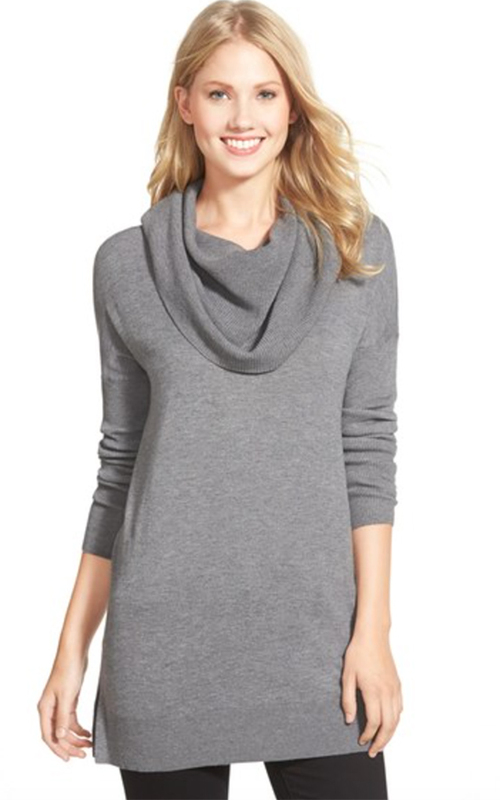 Are you feeling gray for the fall?